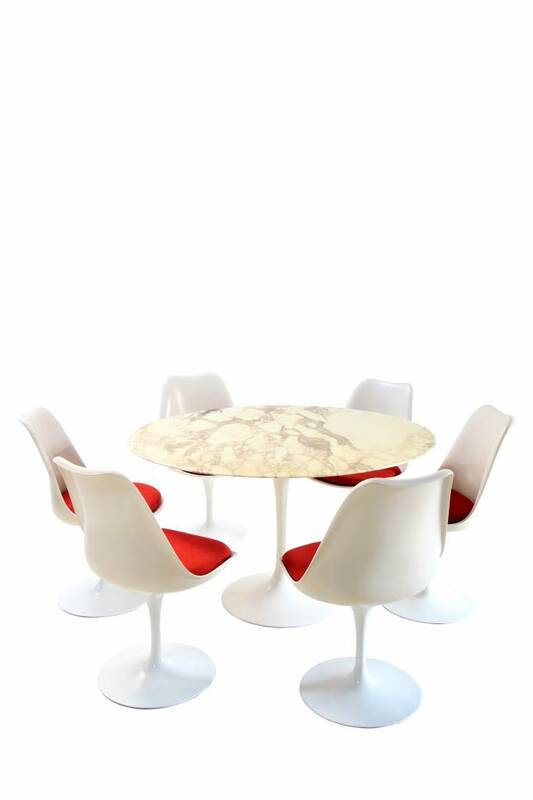 Wow, beautiful original Knoll set from the 60s. 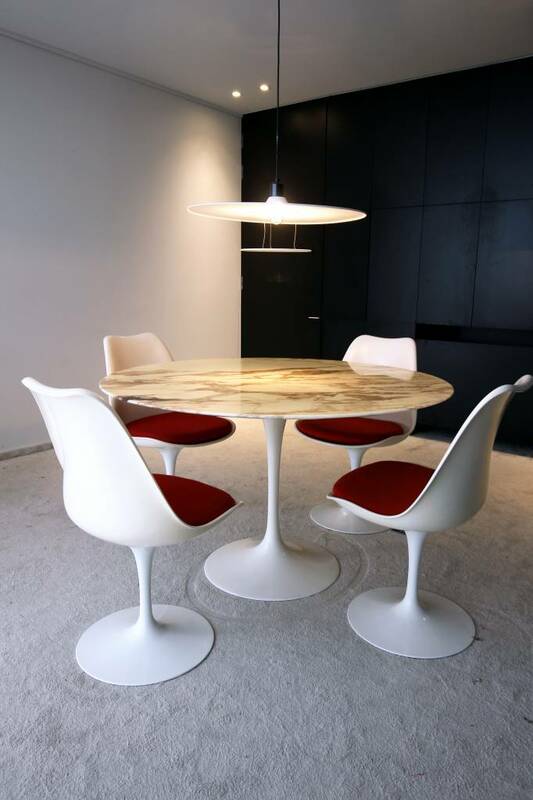 This authentic tulip table with matching chairs designed by Eero Saarinen for Knoll Productions was designed in 1953. 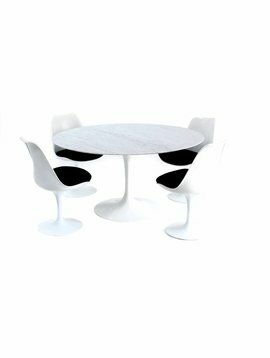 The chairs and the table are all marked '' Knoll International ''. A very nice set for those who love a real vintage classic. The set is in very good condition despite its age. The marble top is a Calacatta marble and has a very nice drawing. A scratch-resistant top layer is provided on top of the top. This top layer proves the age of the table, which discolors the marble top after many years. So a table with a lot of character and history.